Just 3 years ago in Job Corps, I decided to lose weight to help maximize the effects of the testosterone. I was 190 pounds of all relaxed muscle so to speak. I could not complete one push up without collapsing to the floor gasping for air (No kidding!). I never worked out or played a lot of sports growing up. I would do normal kid activity but not enough to where I was not physically overweight for the majority of my life. I never dieted as a child (I still don’t!) and I would eat to try to hide the curves that started to show when puberty came around. Being the man I envisioned in my head is very important to me along with a long life. My goal of losing weight would be forced upon me as I failed the initial entrance drug test for the program. I was made to take boxing every week as part of the stipulations. I feel this contributed to me passing the second drug test as I was required to take it to stay. I had dislocated my knee about 2 weeks before going and I could not fully participate in boxing so I started to hit the gym hard. I had nothing else to do with my time after class as everything that I considered fun was banned from the campus so I would work out every day. This was the very first time I had fully committed to changing my physical life! Fast forward some months down the line , I had began to build muscle and tone up just a tad but it only showed in my arms. The campus was being restructured and positions were swapped around. The gym began to offer the INSANITY workout 5 days a week and I hopped right on it without thinking twice. I saw the results it could give me if I stuck with it. My leg was a lot better at the time so I was able to manage the workouts. I did this along with hitting the gym right after for 5 days a week. The gym instructor who was impressed with me came with P90x as he felt this could help along with my goals. He saw I was dedicated and I added this to my workout for a few weeks where I would do P90x, rest for an hour, go back to the gym and complete my usual Insanity with gym combo. It was rough at first and I had to change around that craziness because I was draining myself out. I continued with these combination of workouts even until I went to my next center for advanced training. I did add jogging to arsenal of weight loss tools that I have added to my belt. 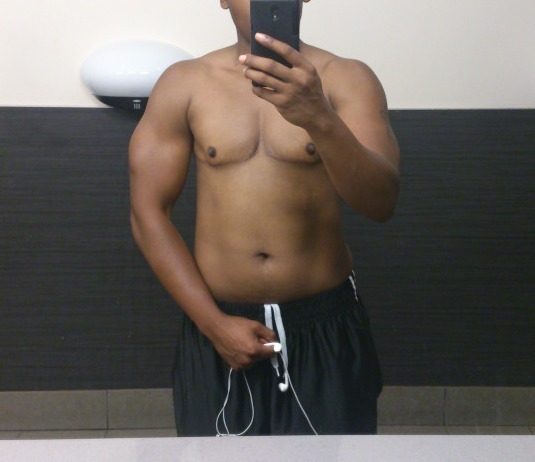 This all helped when it came to me having my top surgery as I had lost fat around my chest area and body as a whole which helped with the healing process. After my top surgery, I was restricted to light cardio so I would walk around the track and as I progressed walking turned to jogging. 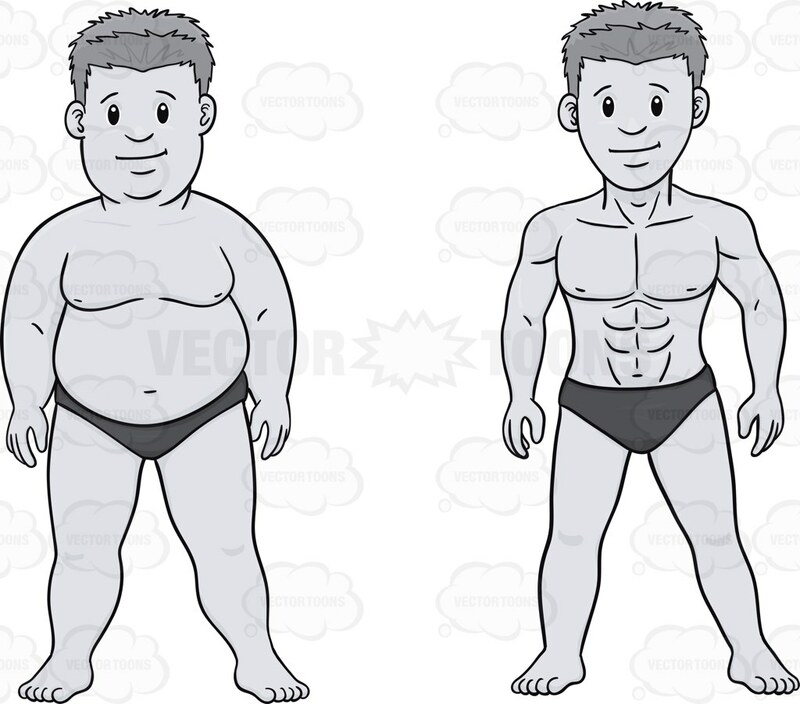 When I returned back to school after my surgery I was weighing around 170 pounds. I naturally went back to the Insanity/Gym Combo but I swore to myself I did not see results but most of my close family and people on campus had noticed. Even after completing Job Corps, I have continued to follow the Beach Body brand so to speak by incorporating T25 into my workouts along with body weight exercises and free weights at the gym. I want to be around for my wife and children. I want to be able to run and play with them till my legs give out. These are all things I believe exercising can give me along with increased confidence. I am injured now again but I will get back to my old self real soon. Here are some comparison photos. The first 2 on the top I took right before I started the Insanity program in September 2012 and the 2 below are from last month. I look forward to more weight loss and changes as I continue to transition. 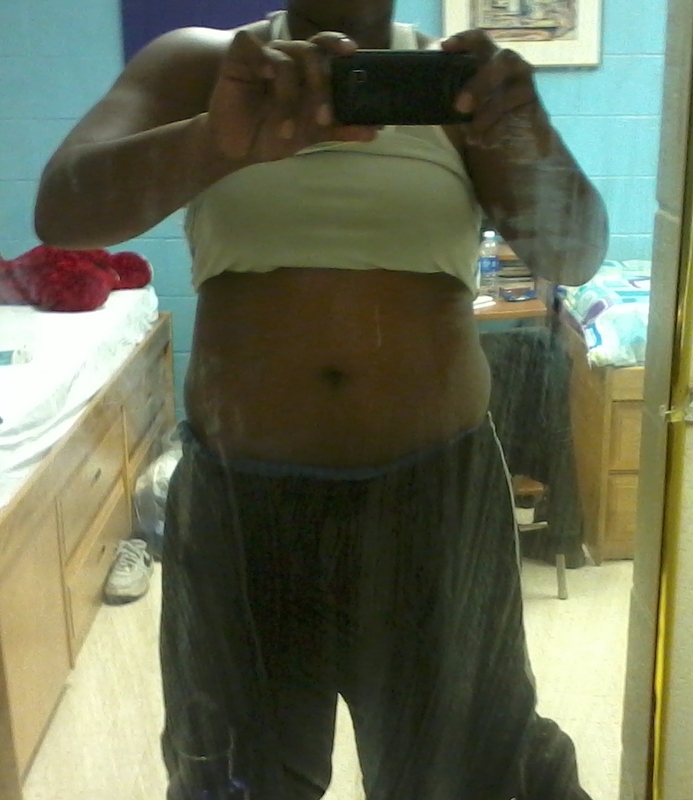 My progress so far has been great as the lowest weight that I hit so far is 137 pounds. I am now stable at around 155 pounds as my goal now is to gain muscle which I was working on up until this damn leg of mine popped out again. Next week I hope to start walking around the track by my house to get my light cardio in while my leg heals. I will try pull ups and upper body weight work until my leg cooperates with me again. 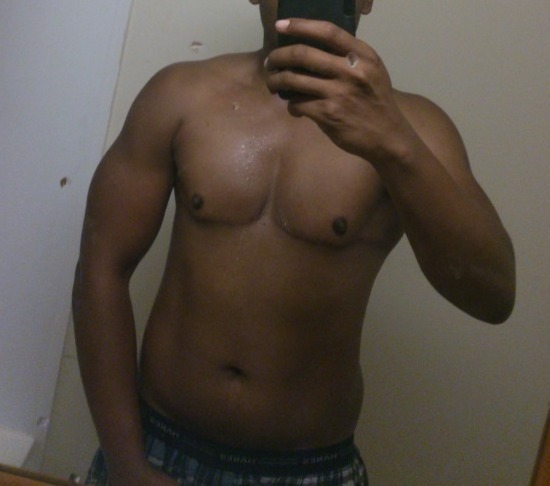 I will go return back to the gym hopefully in 3-4 weeks to start using the free weights again and build this body up. It has become a positive addiction and stress reliever for me with all of the life issues I have including transition. I am starting to see the man in the mirror that I want to see looking back at me. Part 2 of this series can be found here. Thanks for reading. Wow your transformation is brilliant should be really proud of yourself. Great job. You definitely inspire me to keep at it.